Home beauty Is There Any New Treatment For Adult Acne? Adult acne is becoming more common today. In fact, according to clinical studies between 40 to 55% of adults aged from 20 to 40 are diagnosed with persistent acne and oily skin. The Journal of American Academy of Dermatology states that about 54% of women above the age of 25 have some form of facial acne. Acne in adults is generally inflammatory in nature based on research by The International Dermal Institute. The treatment for adult acne is more complicated since adults often have sensitive skin and combination skin aside from acne. Acne is usually described as a disease that affects the sebaceous follicles together with the hair follicles of the skin. 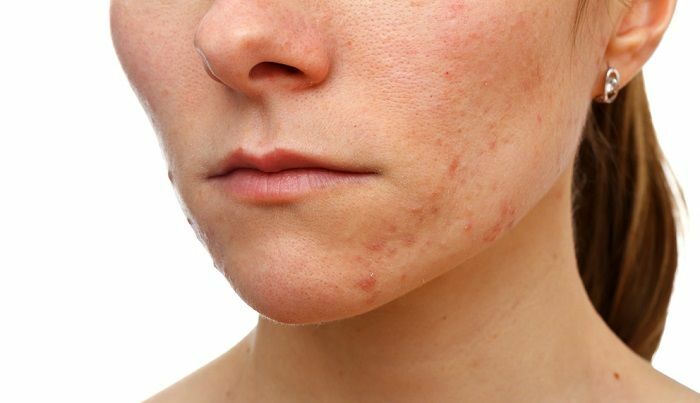 It is usually connected to genetic predisposition, but other factors like skin care regimen and diet may also play a role or causes of acne. The sebaceous and hair follicles are connected with the production of sebum that is a combination of several lipids. The hair follicle then transports sebum and other cellular debris to the skin’s surface where it will be removed. Inflammation or infection can occur when the hair turns ingrown or clogging occurs on the hair follicle’s opening. During the onset of puberty and other instances of hormonal fluctuations, sebaceous gland activity can be stimulated which promotes the development of acne. According to Albert Lefkovits, MD who is director of the prestigious Park Avenue Center for Advanced Medical and Cosmetic Dermatology located in New York City, consuming junk food or chocolate by itself doesn’t seem to directly cause acne. In a study by Australian researchers in 2007, people who strictly followed a low-glycemic index (GI) diet had fewer acne lesions by an average of 22% in comparison to those who followed a high-GI diet. Experts believe that increased insulin levels from simple carbohydrates triggers the release of certain hormones that can cause inflammation of the follicles and increase the production of oil which both increases the chance that a person will develop acne. In a study at Harvard back in 2006, it was found that girls who drank at least two glasses of milk every day had approximately a 20% increased risk of acne compared to those who drank only about a glass per week. Another study published in 2008 indicated that skin milk specifically may be the culprit because it has a higher amount of sugar. Experts believe that the hormones in dairy products may also play a role in causing acne. For those with acne, this simply means to reduce consumption of dairy products and switch to non-dairy alternatives like nut milk and 1% milk. It would also a good idea to significantly reduce sugar consumption. Blue light therapy is one of the newest effective treatments for acne but it is still priced high so only few can afford it. It involves powerful rays that penetrate the follicles and destroy bacteria that cause acne. For severe acne, Photodynamic therapy is advised wherein a topical solution (Levulan) is added to regular blue light therapy. The professional fee of dermatologists is around $250 for one session, but photodynamic therapy is around $800 a session. Aldactone (spironolactone) is not really a new drug since it has been used for treating high blood pressure for a long time. It is now well-known for treating hormonal acne that affects many individuals. The drug when taken orally blocks the receptors of androgen which prevents testosterone surges that directly cause the development of pimples. Take note that this option is only for those with hormonal acne. This is also a not-so-new treatment for acne, but there is one popping up from somewhere every few seconds. There are many anti-acne systems that really work. These are usually cleansers, antibacterial lotions and other formulations that are used a few times daily to keep the skin clean and prevent acne. Make sure to research carefully to find out if the anti-acne system you’re planning to purchase really works. There are many new treatments for acne, but the good old ways still work in most cases. For example, mild to moderate acne is usually treated by dermatologists by using cleansers with benzoyl peroxide which works by killing bacteria. There are also prescription antimicrobial agents like clindamycin, erythromycin and for more severe cases prescription retinoids may be needed.